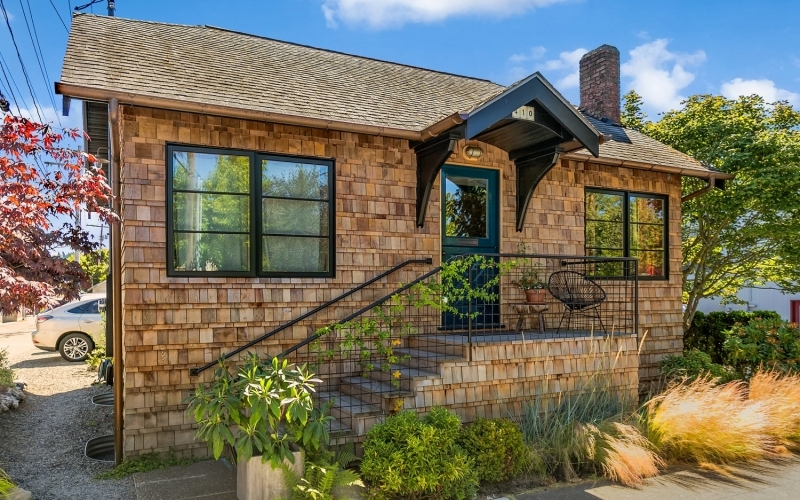 The Whales Nest is a newly renovated guest house in the heart of downtown Edmonds. Each room is unique, decorated with art and furniture by local artisans as well as vintage finds. Restaurants, bars, bookstores, shops and a movie theater are within a block. Beach, marina, ferry and train are 5 blocks away. Room 3 has a separate keyed entrance, a king size bed, full bath and with a small sitting area with a cot. Room 3 can connect to Room 2 to make a 2 bedroom, 2 bath suite for up to 5 people.